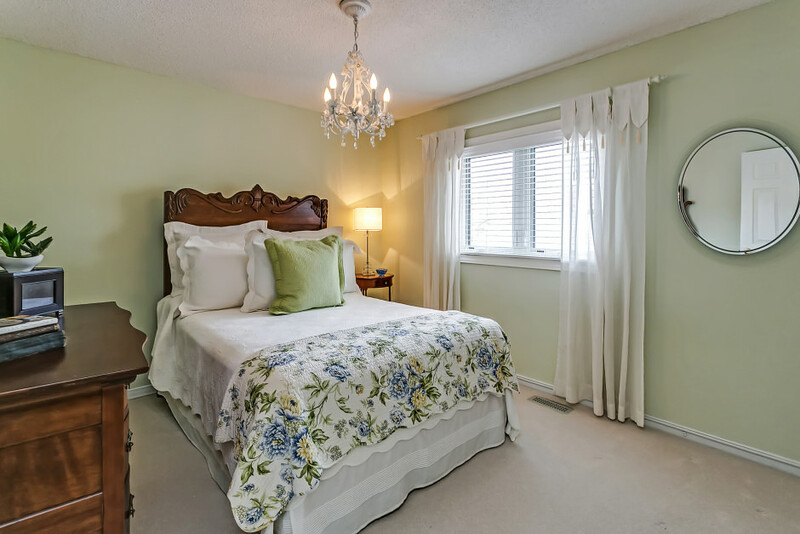 Located on one of prettiest and quietest, tree-lined streets in Southeast's Ford Drive neighbourhood. This original owner, executive style home has been meticulously cared for and updated throughout. 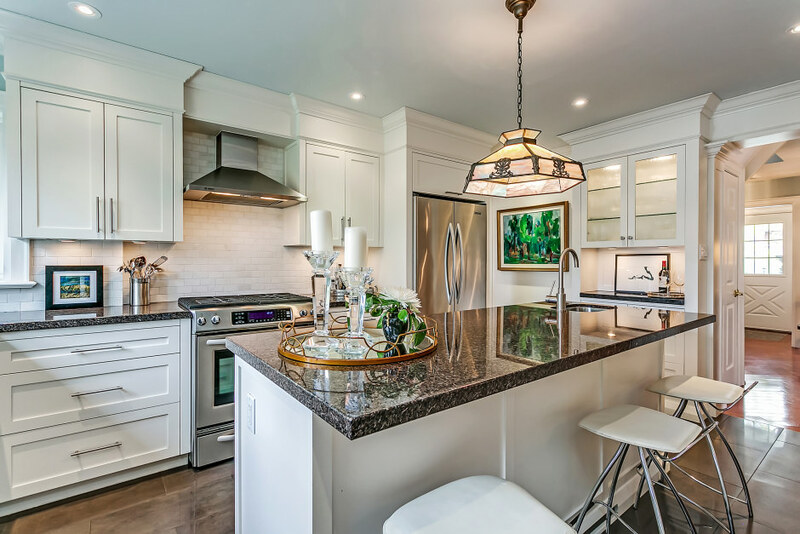 Renovated open concept family room and kitchen with oversized windows, new gas fireplace, custom white kitchen cabinetry and built-ins, large island with seating and high-end appliances including gas range. Combined living/dining room is a contemporary space fit for entertaining with oversized windows and soaring 10' 4" ceiling. Handsome trimwork throughout with updated lighting. All baths have been renovated, second bathroom is fantastic with skylight. Large mudroom with storage and side entrance. The formal main entrance will impress any visitor. Numerous mechanical updates including windows. This all brick home sits proudly on a 61' x 120' lot with irrigation, hardscaping, back deck, seating areas and numerous mature plantings and flower beds sure to impress anyone. A fantastic setting not to be overlooked. Walking distance to O.T.H.S., Maple Grove, E.J. James. Offers, if any, to be presented Tuesday, May 17th at 6pm. Please register by 2pm. The Ford community is a well established traditional family neighbourhood, which encompasses the most Southeastern corner of Oakville. 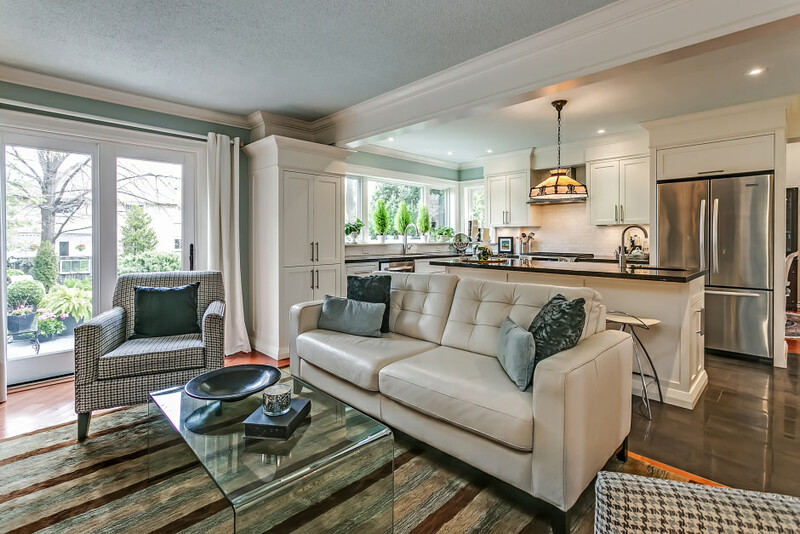 Here you will also find some of Oakville's finest lakefront properties as well as more traditional family homes, many have been extensively renovated or updated. Ford Drive provides commuters with quick access to the QEW and other major highways, and an easy twenty minute commute to Union Station by Go train.